The most passionate Tonido users run Tonido on a dedicated PC or a TonidoPlug. Our vision is to make Tonido a compelling alternative to public online services to protect your data privacy and internet freedom. To achieve that vision we are bringing Tonido to different computing devices. 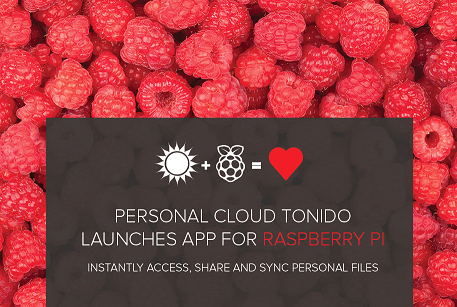 Few months back we have launched Tonido for Raspberry Pi. Now we are bringing Tonido to QNAP NAS. Just install the Tonido Personal Cloud Software on your QNAP NAS and convert into your own Personal Cloud that you can access it from anywhere. Get Tonido for QNAP here. Tonido Server allows you to access all your files on your QNAP from a web browser, Smartphone, tablet or even DLNA enabled devices. No setup necessary. You get an easy to remember link to your QNAP NAS. e.g. : http://john.tonidoID.com. Tonido Server is ideal for Home Users, Professionals and Small Businesses who need a file sharing solution. It’s your own Personal Cloud. 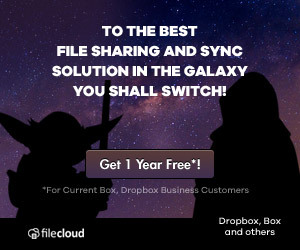 Tonido Sync allows you to synchronize your files, documents, media, videos among your computers and QNAP NAS. Any file you save to your Tonido Sync folder instantly saves to all your computers and QNAP NAS. Works even when you are not connected to the internet. You always have your files, whether or not you have an internet connection. Automatically upload photos and videos from your iPhones/Android devices to QNAP NAS without user intervention. No storage limits. No more subscription fees. Quick secure access to your entire music and videos collection wherever you are without uploading them to online cloud services. Video Streaming – Easily stream videos from your QNAP to your device. Music Streaming – Stream your entire music collection in different formats (including FLAC, OGG, WMA, MP3 and more) without saving them locally on your device. Share large files, folders or any content from your QNAP directly with family, colleagues or your clients or customers. Create a secure private share that only authorized people are allowed to access them. Guest user accounts for private, authorized access. We have plans to bring Tonido to ReadyNAS and Synology devices depending on the users interest. Let us know. We are happy to announce that Tonido will now be available on Freecom’s Silverstore 2-Drive NAS Product. Dallas, Texas (September 27, 2011) — CodeLathe today announced that the Tonido Personal Cloud software and service is now available on Freecom’s Silverstore 2-Drive NAS. The Tonido Personal Cloud service connects users to their NAS storage remotely and allows them to freely access and share their files anywhere in the world. Tonido Personal cloud will offer remote access via the web browser and mobile clients including iPhone, iPad, Android, Blackberry and Windows Phone 7 platforms. 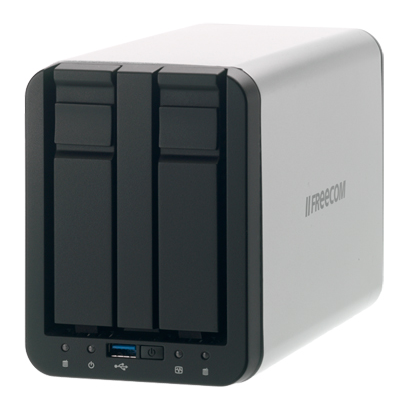 Freecom, a Mitsubishi Kagaku Media company, headquartered in Netherlands launched the ‘Silverstore 2-Drive NAS’ which is a simple to use network storage center featuring two separate, removable hard drives. The multi-configuration dual-drive design NAS product reliably stores up to 6TB of data from an entire home network in one central location and features the latest Gigabit and USB 3.0 host interface standard. Tonido Personal Cloud is a compelling solution for consumers and small-business in an era when people are more mobile and connected than ever before. The popular Tonido service which has been available before as a standalone software package on the desktop and on CodeLathe’s own products now expands to other products bringing the same ease of use, functionality and availability. London, 27/09/11 | Freecom, a Mitsubishi Kagaku Media company, today launched the ‘SilverStore 2-Drive NAS’, a simple to use network storage center featuring two separate, removable hard drives encased in a sleek silver-colored enclosure. The multi-configuration dual-drive design reliably stores up to 6TB of data from an entire home network in one central location and features the latest Gigabit and USB 3.0 host interface standard. The NAS drive makes it easy for multiple users to download large files, store and access documents, and share everything from videos and music to photos and presentations. Many people rely on hard drives to store all kinds of information, but if their drive crashes these important files can be lost forever. With the SilverStore 2-Drive NAS, users can protect their data from this danger by programming it so that one drive automatically makes an exact copy of the other, giving them peace of mind that comes from knowing everything is safely backed up. The SilverStore 2-Drive NAS can also be configured so that the two drives can be used as one single volume to maximize the amount of storage space on the network. Alternatively, the drives can be used for separate purposes – for example, they could be assigned to different family members so that data is kept segregated, or they could simply be used to store different types of files. Users can also organize and control access to their data by assigning individual usernames and passwords to ensure that their individual content remains secure at all times. The SilverStore 2-Drive NAS connects directly to a network router or switch, and simple installation software makes it easy for any user to set up in minutes. The product is DLNA-compliant to allow for seamless video and audio streaming to playback devices such as the Xbox 360, PS3 and networked media players. Apple computers are supported by “Transmission backup” and an included iTunes server. It also comes complete with a built-in FTP server and BitTorrent client so that users can download large multimedia files directly to the drives quickly and easily – even while their computer switched off. While this NAS drive features USB 3.0 technology on the front, which is backwards-compatible with USB 2.0, there is a second USB 2.0 port conveniently positioned at the back for extra storage devices. The high-performance unit contains a 1 GHz Marvell 6283 processor that runs with low power consumption. Founded in 1989, Freecom designs, manufacturers and markets innovative desktop and mobile HDD storage solutions, network attached storage devices, flash drives, DVD burners, Professional RDX & tape drives and services. Freecom serves both PC and Mac users. Established in Germany, Freecom is headquartered in the Netherlands, with offices in Austria, Belgium, France, Germany, Hong Kong, Italy, Japan, Spain, Sweden, Switzerland, Taiwan and United Kingdom. For more information, visit Freecom’s website at www.freecom.com and select the country of your location. CodeLathe is a privately-held software startup based out of Dallas, Texas, USA. A pioneer in Personal Cloud products and services, CodeLathe offers turnkey Personal Cloud Solutions to leading ISPs, network and external storage device makers to create value added products and services. CodeLathe was founded in 2008 and over 200,000 users use the company’s hardware and software products around the world to share and sync files, music and photos. For more information about CodeLathe and its products, please visit www.tonido.com.